Founded in just 2012, Copenhagen Creators has produced a staggering variety of games in different genres including puzzle, adventure and action-strategy. Their most polished title yet, ‘SoulSpark Battle Cards’ is an intriguing fusion of card battler and RPG elements that’s produced to the highest of standards. A representative from the team in Copenhagen took the time to sit and answer some question for My Boxed Universe. Thanks for taking the time out of your busy schedule to answer these questions today, it’s greatly appreciated. For those not acquainted with your portfolio, can you tell us a little bit about Copenhagen Creators and their philosophy? 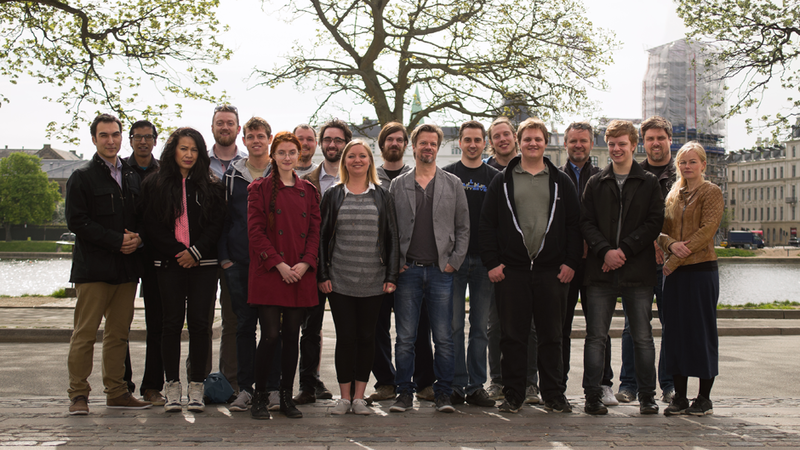 Copenhagen Creators is a concept development company that develops, markets and publishes games and apps for iOS and Android. We work on our own independent projects, as well as co-productions and contracted projects. We’re a small team of around 17 employees, some of which are freelance and interns. This small team is highly experienced and very international, with people from Germany, Sweden, Egypt, China, and so on. We truly believe that this gives us an edge in terms of understanding the app market, which is also extremely varied. As a company we aspire to always create unique games that alter the way game mechanisms are typically used, add a twist to a known genre or rethink it entirely. We want to stand out and expect and work towards one day becoming one of the big players with that global success story. A diverse and talented team. SoulSpark is first and foremost a card game, but it features a lot of excellent RPG mechanics and manages to tell a story throughout its campaign, was a fusion of the two styles always your intention? The story of SoulSpark’s creation actually started around a kitchen table in our Copenhagen office, where we and other game enthusiasts had been meeting for years to play games after work hours. This group then decided to build a game together, which combined card collecting, strategy and action. We wanted to create a game that would be easy to pick up for anyone new to the genre, but with layers of strategy and tactics, which could challenge even experienced players. And thus needed to tell a story that would help immerse players in the game and universe. Visually the game has a very unique identity, using the artwork of Steve Prescott almost exclusively. Many card games in both the electronic and physical sense elect to utilise a variety of different artists to both speed production and share the workload. Was it always your intention to work with Steve alone and what was your experience working with him? Well, actually Steve Prescott had the initial idea to create a game made for players by players. He talked to our mutual friend, Jesper Ejsing who is also an independent world-renowned fantasy artist, about it. Jesper then took the idea to us (Copenhagen Creators) and we in turn involved Danish game designers Wizkids. Thus, what started as evenings around a kitchen table, eventually forged this amazing transatlantic alliance to create SoulSpark. Steve has previously expressed that he was driven by enthusiasm due to this exact point. That most other games have a lot of different artists, and it was therefore a dream to be the sole artist on an entire game. The artwork in SoulSpark is top-notch. Did Steve produce the icons and additional interface graphics as well or were they produced separately to match his style? Yes, Steve produced the interface icons together with our in-house UI artist. We wanted to push Steve’s line work and style into the product as much as possible to make sure it visually provided a complete and coherent experience. The games world map features a variety of clever scenarios and interactions between the cards as characters. How much attention was put into world building or did that grow organically from the nature of the games systems and art? The world was developed alongside monsters, mechanics and gameplay over many iterations. So a lot of attention was put into this process to make sure that the world and the map felt as a natural part of progression. SoulSpark is a real-time card battler instead of being turn based, making it faster and requiring a greater sense of attention. What were your initial aims when creating this system? As mentioned earlier, we wanted to create a game that would be easy to pick up for anyone new to the genre. Though equally important to us was making sure that it was unique in its use of game mechanisms, with an added twist to this known genre. 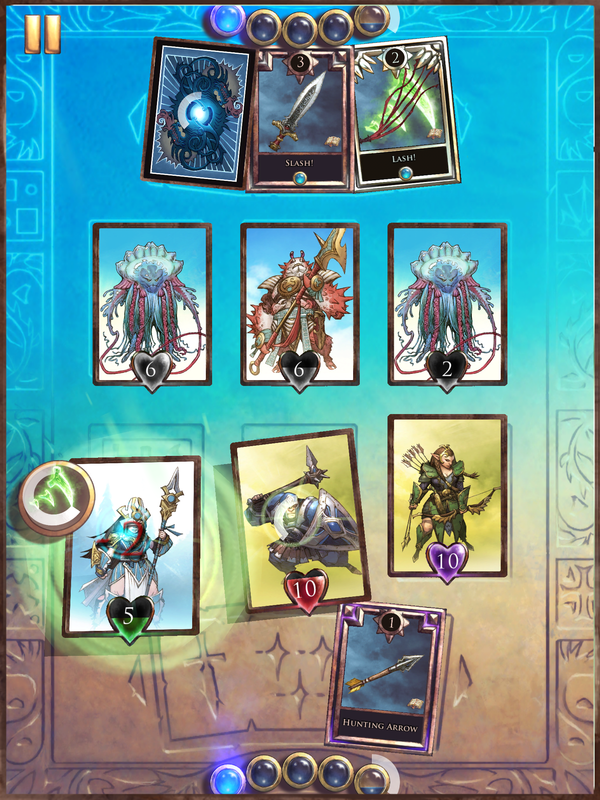 After spending a weekend without any sleep to get the first basic prototype done, we could see that adding the real-time element to collectible card games had us hooked and realized the possibilities involved when there were suddenly no turns and no waiting for the opponent to act. Real time actions give the combat in SoulSpark a sense of energy. Time is a big element, with time management the basis of the games tactics. Every actions has a period of count-down before triggering, effects last a set amount of time and characters heal slowly in real-time. It adds a huge element of strategy that simply doesn’t exist in other similar titles (and this is before the cards themselves are taken into account). Did you find that play-testing the game was tricky due to different people’s processing time or that you got progressively faster as players as you learned what was happening? Yeah, even though on the surface SoulSpark seems to be rather simple and easy to get into – the underlying mechanics are quite complex. Testing balancing in a game like SoulSpark is not an easy task and great care was taken to make sure everyone would be guided softly into the game, but at the same time, difficulty ramps up over time so SoulSpark always feel challenging. SoulSpark doesn’t require that the device it’s being played on is connected to the internet in order to enjoy its core game. Was that a deliberate choice? Yes it was. We didn’t want the players experience to be affected by coincidentally being in a zone with bad connection. The game does have options for liking and sharing via Facebook. What prompted this inclusion and why stop at Facebook when many games also feature additional social networking sites such as Twitter? Twitter is an interesting social platform that we follow closely and are a part of with both a Company and dedicated SoulSpark profile, though we still see our largest following on Facebook. In the future Twitter and possibly Instagram will though be part of our game development plans. The music in SoulSpark is a strong blend of tracks that inspire a feel for the world. Was there a particular vibe that you wanted to capture with its soundtrack? Were real instruments used or synth? SoulSpark has a lighter fantasy setting without that dark and ominous vibe and we wanted to reflect that in the soundtrack, a sound that fit the environment and gave you the feeling of actually being there. We think we succeeded in creating a very pleasant sound for the game and have luckily gotten the same feedback from our users. The games does have a few difficulty spikes, were these intentional on the part of the developers to encourage grinding of earlier sections or purchases on the part of the player (SoulSpark is FREE but features some in-game purchases such as its premium currency). 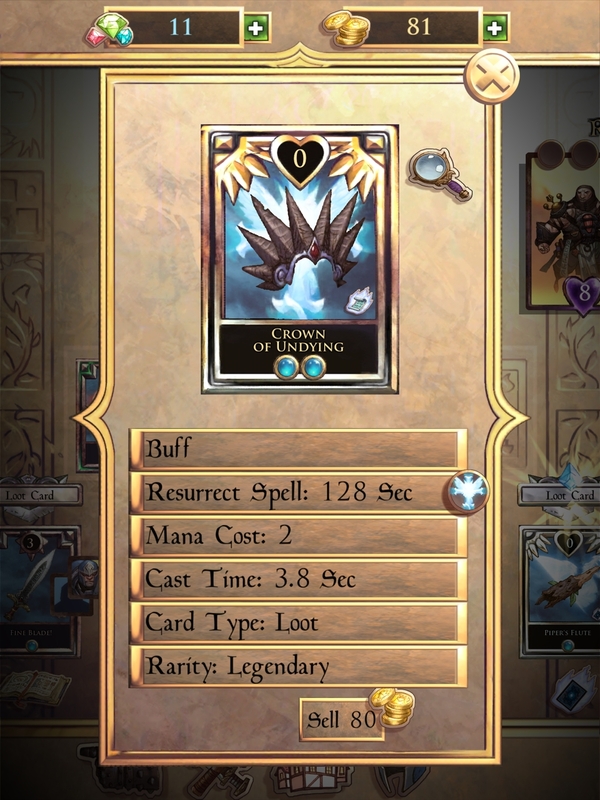 Our philosophy was to make SoulSpark free-to-play so everybody could play the game without spending money, but by doing in-app-purchases you could also collect additional exciting cards and characters. So it is entirely possible to complete the game without making purchases, by as you say, grinding of earlier sections. But of course also possible to advance faster if some of the added cards and heroes are bought. We feel we created a good balance between the difficulty spikes and actually lowered them a little in the last update, as we could see many players were having difficulties passing these. SoulSpark is very much a game that could only exist in a video-game setting, with so many time orientated rules to keep track of, but were the developers ever tempted to create a physical equivalent and capitalise on its popularity? SoulSpark actually started out as a physical card game, but quickly evolved to be quite complex and the real-time nature of the game would make it hard to produce a physical counterpart. It is not something we are pursuing at the moment. How has SoulSpark sold since release, has it met your expectations in terms of download figures? We got featured by Apple in most major countries, which gave direct measurable results that we were of course extremely pleased about. However, it is a very competitive market and you of course always want to improve. Overall we are happy about how the launch went and expect to see a further increase in downloads with new updates and added content and functionality. Are there any expansions or additional content that players can expect to see on the horizon? Twitter – @CPHcreators and @SoulSparkGame. Has production of SoulSpark triggered any interest in house for creating a more heavily RPG orientated title? Your games are frequently of an exceptionally high standard and it’s an area you’re yet to delve into. Are there any parting words for fans of your products? Yeah, we’d like to thank everyone that supported the game, both in the testing phases where many users gave us tons of valuable feedback and of course at release where they subsequently downloaded the game – Keep playing and giving us your feedback! Thanks once again for taking the time to sit for this interview. For those who want to learn more about SoulSpark its official website can be found HERE, and it is also listed alongside its fellow games and some interesting information on Copenhagen Creators official website HERE.